Strolling along the historical streets of Shiraz and get ready to see the treasure of city of roses and poets for free. From Shah cheragh holy shrine to Armenian Church, from Astaneh Shrine to Dervishes temple, follow the path of Sang-e-sia old district and discover the secrets of there. Our guides lead their tours with knowledge and experience, prepared to unveil to you the history and the curious facts and habits of the city. 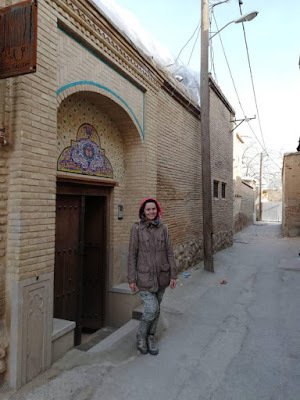 Tours are mostly operated by Nazanin, who makes Shiraz an unforgettable city for all the guests.